The Steelers are in a tough spot. Their late-season swoon has put them in the unfortunate position of needing a win from the dreaded Browns in order to have a chance at claiming the AFC North and advancing to the playoffs, when it has been literal decades since anyone has been able to rely on the Browns for anything other than bumbling incompetence. 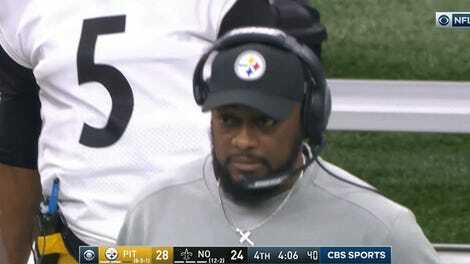 But the part of this the Steelers have any control over, and must therefore demand all their attention and preparation, is a do-or-die showdown with the Bengals, at home, Sunday afternoon. 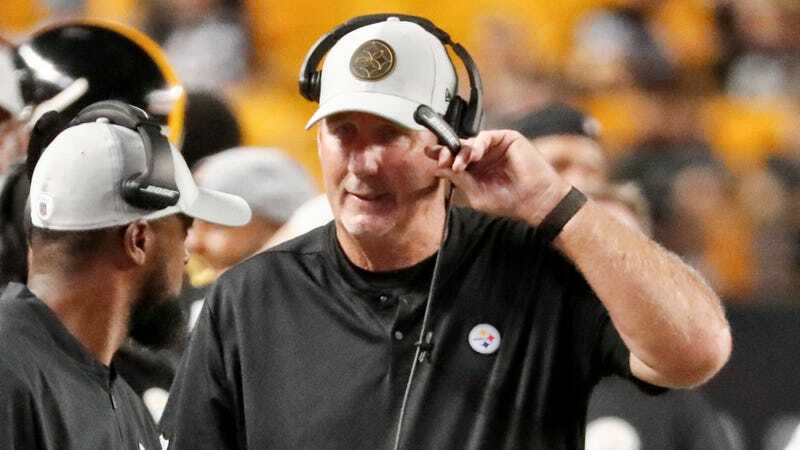 This is from Thursday’s episode of Coordinator’s Corner, a weekly feature on Pittsburgh’s team website where one of the team’s coordinators spends a few minutes giving “an inside perspective of the team” in an audio interview. You will notice, if you navigate to the archive today, that the December 27 episode, which was available as of 10:30 Friday morning, seems to have been deleted. That is very likely because Steelers.com editor Bob Labriola pounced on a comment Butler made about Eifert and asked him straight up about the matchup, and Butler seemed to have no idea that Eifert has been on injured reserve for nearly three months after suffering a gruesome leg injury on Sept. 30. Eifert was already on injured reserve when the Steelers faced the Bengals the first time this season, way back in Week 6. Did Butler notice? In Butler’s defense, he seems to be more comfortable identifying opposing players by their jersey numbers—the conversation seemed to hang up several times while Butler and Labriola worked through their different modes of identifying Bengals offensive players, with Butler defaulting to numbers and the two scrambling to match numbers to names. It’s entirely possible Butler was thinking of, I don’t know, Jordan Franks, although it’s hard to imagine him saying “he can get deep on you” and “he does a good job of catching the ball downfield” about a guy with two total receptions in 2018. C.J. Uzomah? Matt Lengel? The mind races in search of possible explanations. Whatever the case, the gaffe was apparently sufficiently embarrassing for the team to yank the whole six-minute episode off the internet and memoryhole it once and for all. You just hope the Steelers aren’t wasting so much time scouting Eifert that they leave themselves vulnerable to the real deep threat in Cincinnati’s offense, T.J. Houshmandzadeh. What The Hell Happened With Ben Roethlisberger On Sunday?